You walk into a dealership ready to buy a vehicle. You’ve spent hours upon hours doing all the research and getting online price quotes; now you just want to do a test drive before making the final decision. Easy, right? Not exactly. After a couple of very long hours, you finally drive off the lot with your new vehicle. Then you spend the next several hours, days or maybe even weeks wondering if you got a good deal. Does that sound like fun? Not to me! Some people love the process of researching and negotiating a good deal, but most people (including me) dread the time-consuming and stressful process of buying a vehicle. But what choice do you have? You can hire an auto broker! If you’ve never heard of an auto broker, they are professional vehicle buyers who manage the process of buying a vehicle on your behalf. You use a broker to buy a house, find a mortgage, etc. Why not to buy a vehicle? An auto broker can manage the entire process from research to delivery, or they can just help with negotiating the price, or somewhere in between. 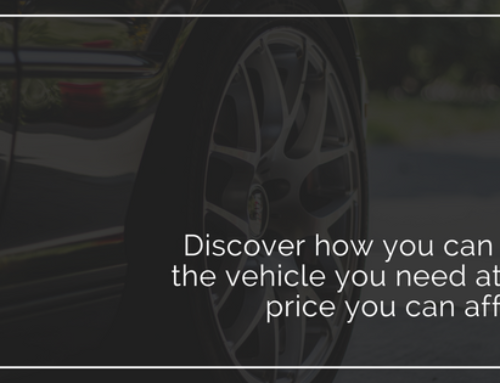 They usually charge either a flat fee or percentage of the vehicle price and base it on how much help you want with the purchase. 1. Save Time and Stress. Let’s face it, buying a new or used vehicle is time consuming, and often stressful, especially when it comes down to negotiating the deal! Using a broker for your vehicle purchase can save you a lot of time, work and stress. Depending on your needs, wants and budget, you could do as little as test drive the vehicle and sign the contract! Really! In many cases, once the deal is done, an auto broker can have your new vehicle delivered to you. Can you imagine how nice it would be to not have to spend hours on research or hours in the dealership to buy your next vehicle? Find a good auto broker, and this can happen to you. 2. Save Money. 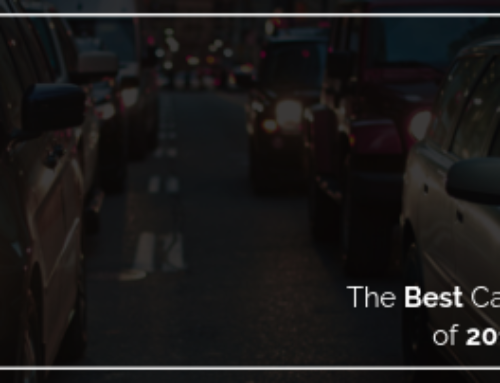 You save money two ways with an auto broker. Time is money and an auto broker definitely saves you time. But they can also save you money on the actual price of your vehicle. Auto brokers are professional car buyers, so they have extensive industry knowledge and know about discounts, rebates and the actual prices of vehicles and add-ons. As we’ve mentioned on this blog before, even when you get a great deal on a vehicle, you can still end up spending too much money on all the add-ons and extras that are offered in the finance office. 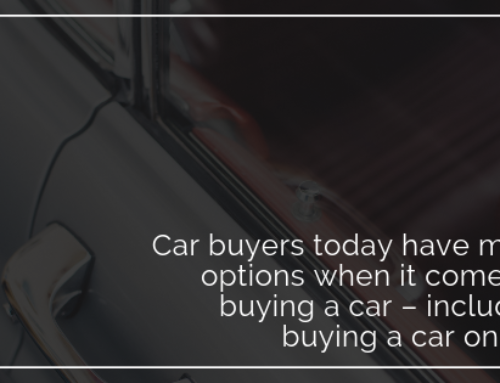 Well, an auto broker can help you figure out all the extras too! 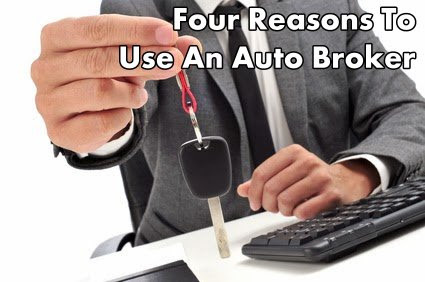 Because of all the factors mentioned above, chances are good that you will save money even after paying a fee to the auto broker. 3. Get What You Want. An auto broker can be especially helpful when you want a hard-to-get vehicle or are buying a used vehicle. Auto brokers may have access to (or at least be aware of) resources and databases that you do not, or may have the right relationship to get you moved up on a waiting list. 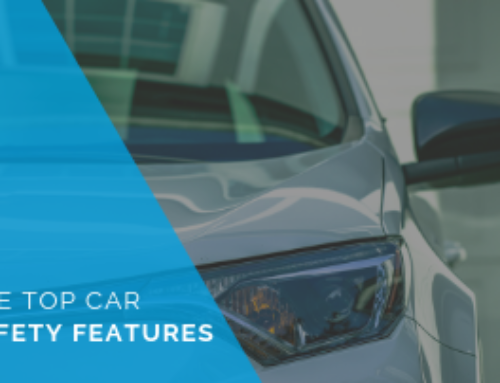 They can also find you the exact used vehicle you want, down to model, color, trim level and mileage; something that can be next to impossible to do on your own. Even if you’re looking for a readily available new vehicle, an auto broker can likely help you find the specific model and accessories you want faster and easier. 4. Get Peace of Mind. 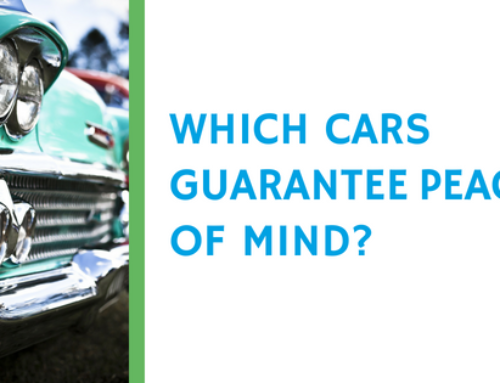 Wouldn’t it be great to buy a new vehicle and have the peace of mind that you got a great vehicle and a fantastic deal? That is what a good broker can do for you. They will help you find the vehicle you want at a great price, and guide you in selecting reasonably priced add-ons. One very important add-on that an auto broker may help with is an extended car warranty or vehicle protection plan. An extended car warranty or vehicle protection plan will give you the assurance that your car will be taken care of if a mechanical breakdown happens. Plus, it can often pay for itself in just one auto repair bill! Third party providers, like autopom!, can give you great coverage for less money than packages offered through car dealerships, so you can have peace of mind and save even more money. And they promise to work with you, or your auto broker, to find you the best plan for your needs at a competitive price. Contact autopom! today!